No. For a change, this one-off Rolls Royce Ghost police car is not from the famous fleet of Dubai police cars but was recently part of a police fleet in Sussex, U.K. 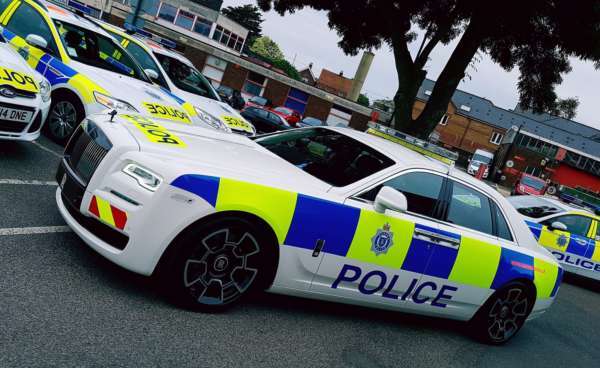 Unlike most police cars though, the Ghost Black Badge Edition was temporarily donated to raise funds for a charity event. 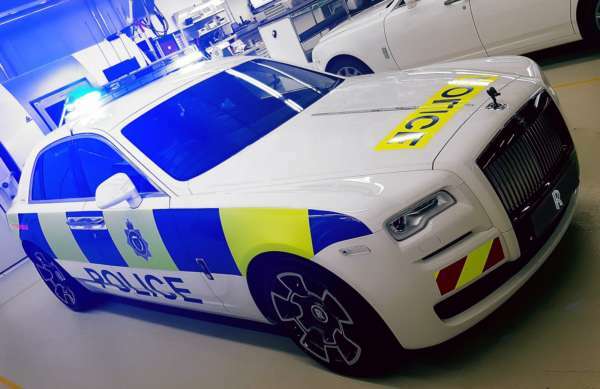 For its temporary phase, the Rolls Royce Ghost Black Badge edition was dressed in a white paintjob, replete with the signature police decals, police radio and roof lights. The interior featured a dual tone black and tan leather interior along with a few carbon fibre trims. Unveiled at the Chichester Police Station Open Day, the car was used to raise funds for a children’s hospital that houses about 300 kids. Although a temporary arrangement for the said purpose, we’re sure any criminal wouldn’t mind being taken away in this luxurious set of wheels.